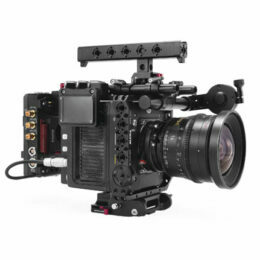 The Nucleus-M: Wireless Lens Control System was designed with versatility. Using these clamp-on rosette-based adapters, you can easily connect your Nucleus-M hand grips to ring-based gimbals. Simply use the Tilta Nucleus-M Hand Grip to Arri Standard Rosette Adapters to attach the Nucleus-M hand grips to these adapters. The package includes two adapters, one for the left and one for the right hand grip.